Nicolas Anelka (born 14 March 1979) is a French football player. 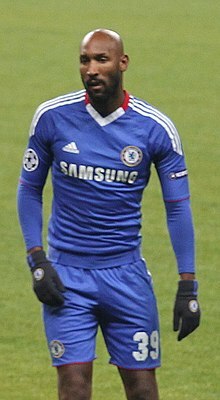 He plays for Chelsea and France national team. ↑ Strack-Zimmermann, Benjamin. "Nicolas Anelka". www.national-football-teams.com. This page was last changed on 13 February 2019, at 19:05.